Intel announced on May 7th 2004 that Tejas/Jayhawk were canceled, and that they would instead focus on Dual-Core CPU designs. That was the public statement, but the reality of the situation was that Tejas, like its Texas namesake, was HOT, too hot. 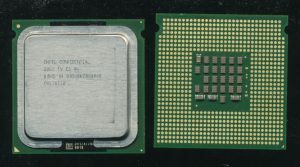 Early samples, running at only 2.8GHz, consumed somewhere around 150W, an extraordinary amount of power for a processor at the time. The hottest Prescott’s were only 115 Watts, and the Northwood never made it over 90W. Perhaps the best known legacy of Jayhawk and Tejas was not the CPU or its architecture, but its socket. 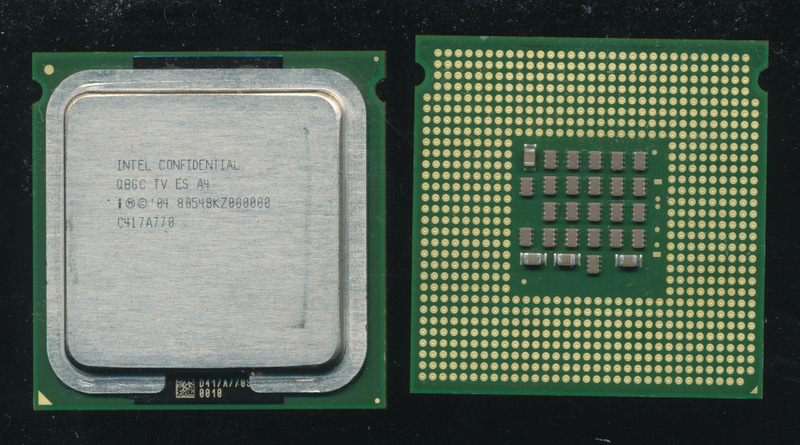 Tejas was spec’d for an innovative pinless socket called Socket T (for Tejas) now known as LGA775, and LGA771, known as Socket J, was designed for Jayhawk. The LGA socket design has less lead inductance then a PGA socket, and pin inductance greatly hinders higher speed operation. Along the same lines, the LGA socket allowed for more dense contacts, allowing more, and better distributed power and ground signals, again greatly needed for Jayhawks power hungry needs. It also allows for better mechanical interface between the heatsink and processor and motherboard. The Tejas/Jayhawk were expected to be the ‘Pentium V’ the greatest of the Netburst architecture, but the Pentium V never was to be and Netburst ended up being replaced by Core an architecture that was based on the P6. Its as if, looking back at the P4 and Tejas/Jayhawk, Intel said Woops! and went back to what worked. Tellingly the first Core processors were a 12-stage pipeline, a far cry from Jayhawks 40-50 stages.